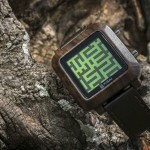 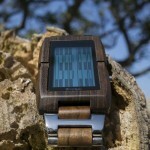 The stylish, elegant, easy to read Kaidoku watch gets a new look, say hello to Tokyoflash Kisai Kaidoku Wood LCD Watch. 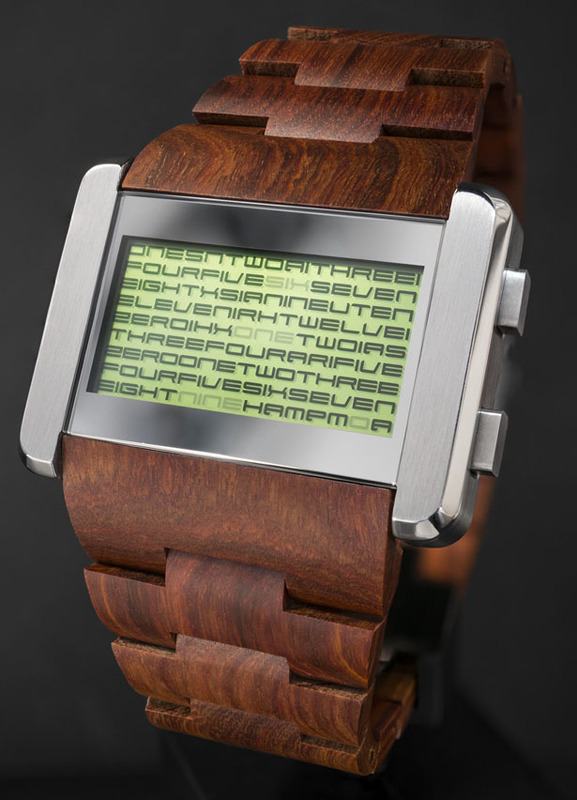 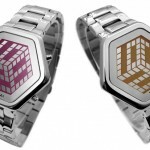 It’s a limited edition wood watch that works the same way as the stainless steel version, it display time in words instead of numbers, creating artistic display on the LCD screen. 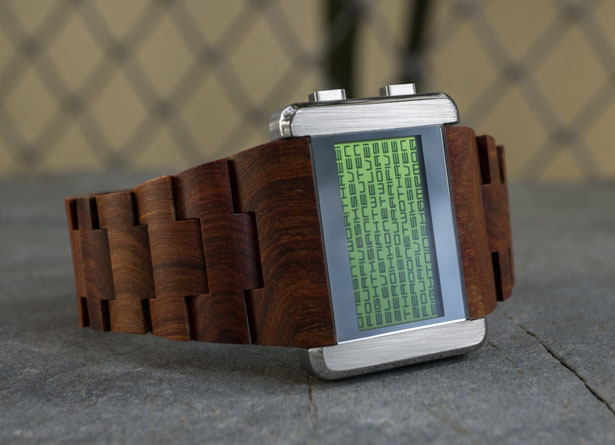 The stainless steel case is intact, but the custom made wooden strap gives this watch a nice, warm appearance. 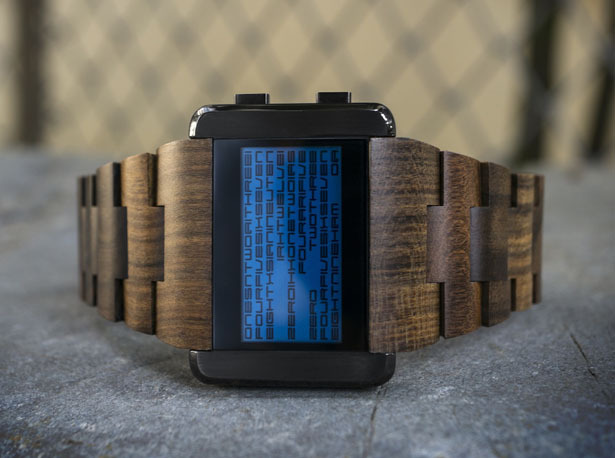 The word Kaidoku means “decode” in Japanese, well, it seems that the watch doesn’t require you to read complicated cryptic code, it displays time without the need for translation. 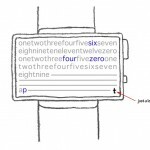 You can simply look at the words which are flashing and read them in order to know the time, you can also read the date the same way by pressing the lower button. 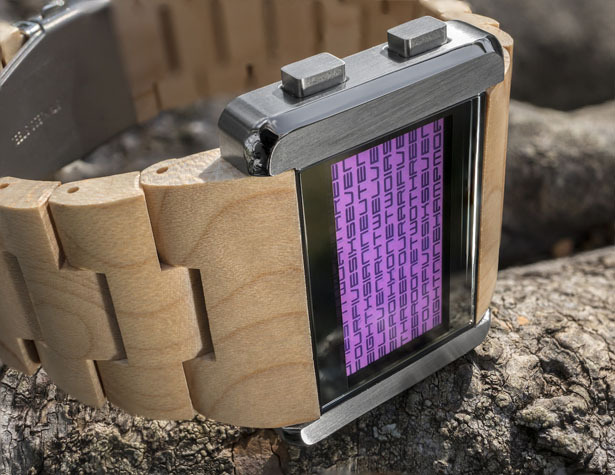 We really love that Tokyoflash decided to leave the stainless steel case, it creates nice contrasts against its 100% natural wood strap. 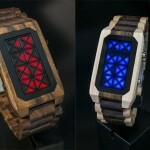 There are 3 models available for you to choose, dark sandalwood with blue LCD, maple with purple LCD, and red sandalwood with green LCD. 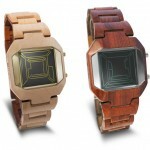 The curved strap and wide case make this watch ideal for both small and large wrists, both women and men can wear this timepiece just like modern bracelet. 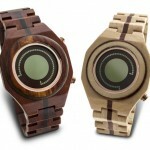 Aside from displaying time and date, Kisai Kaidoku Wood LCD Watch also features alarm and EL backlight for low light vision. 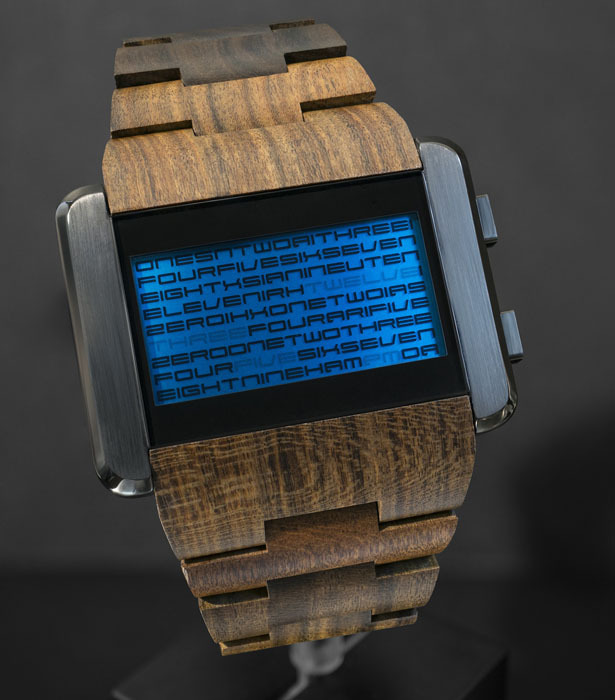 You can press the upper button to illuminate the words. 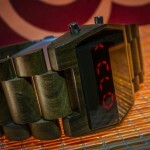 Tuvie has received “Tokyoflash Kisai Kaidoku Wood LCD Watch” project from our ‘Submit A Design‘ feature, where we welcome our readers to submit their design/concept for publication. 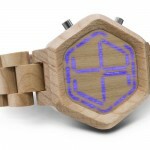 Tagged as futuristic watch, kaidoku wood watch, letter artistic display, number words watch, tokyoflash wooden watch.